A sobriety checkpoint will be set up in Franklin Township tonight. The task force is made up of more than 20 law enforcement agencies in the county. 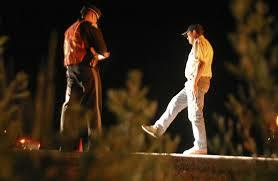 Support for this weekend’s checkpoint will also come from the Ohio Department of Public Safety. The International Association of Chiefs’ of Police and the Presidential Commission of Drunk Driving together recommend the use of sobriety checkpoints to increase detection of driving under the influence of drugs and/or alcohol.